Manufacturing is still the largest sector in the state's economy. Maine is a leading producer of paper and wood products, which are the most valuable of all manufactures in the state. Food products and transportation equipment are also important, but production of leather goods (especially shoes) has declined. The mineral wealth of the state is considerable. Many varieties of granite, including some superior ornamental types, have been used for construction throughout the nation. Sand and gravel, zinc, and peat are found in addition to stone. 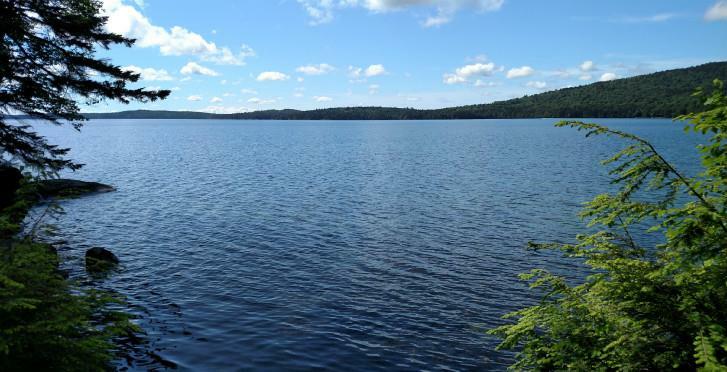 However, much of Maine's abundant natural and industrial resources remain undeveloped. The population of Maine is centered on the cleared land along the coast and major rivers, Augusta is the capital; Portland, Lewiston, and Bangor are the largest cities. Maine's two great parks are Acadia National Park on and around Mt. Desert Island; and Baxter State Park, which includes the northern end of the Appalchian Trail at Mt. Katahdin in the N Maine wilderness.